We just finished a five-part series about How to Start a Public Speaking Career. If you haven't had a chance to read (or listen to) that series, it will help you understand the concepts that we talk about here, much more clearly. In this session, we are going to cover how to promote yourself as a professional speaker. In the earlier sessions, we talked about how to get experience speaking within your current industry. Some of the ideas were to start out as a trainer in your current industry and to speak to associations within your industry. This helps you practice your craft, but, more importantly, it helps you get video of yourself in front of actual audiences. In the last session, we talked about how to create content like blog posts, videos, and books that you will be able to use to market yourself as a professional speaker. So, we are going to assume, at this point, that you have followed the guidelines in the previous session, and you have at least 20 blog posts, 20 podcast episodes, 40-50 two-minute to five-minute videos, and you have self-published a book comprised of 10 of your best blog posts. (If you don't have these yet, make sure to follow the guidelines in Start Your Own Public Speaking Company from Scratch.) 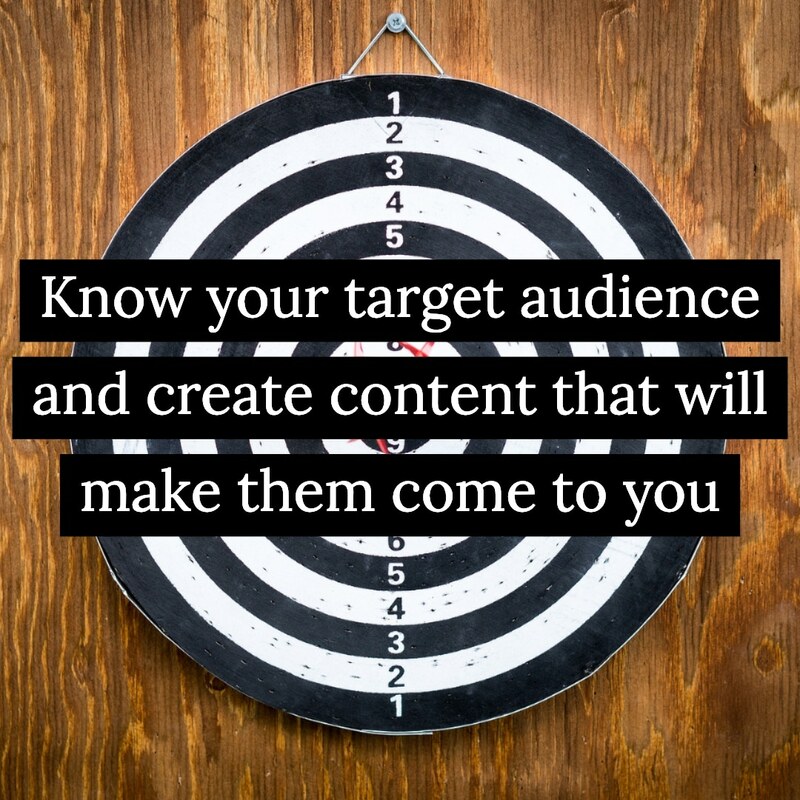 Keep in mind that you don't have to have ALL of these things, but the more content that you have, the more professional you will appear to a potential client/customer. We are also going to assume that the content that you have created is in a specific niche within a defined market, and that this particular market needs your content. 5 Ways to Promote Yourself as a Professional Speaker. 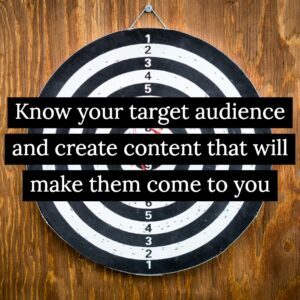 Create Content that Gets Your Target Audience to Come to You. All total, I spent about $10,000 to get 24 people to pay me $600 to come to my first class. It took me three months to find these 24 people. You can do the math, but I spent $10K to create a gross revenue of about $14K. I spent a couple thousand dollars on expenses to hold the class as well (renting a hotel banquet hall, manuals, etc.) Since it took me three months to get enough people to hold the class, if I wanted to do it again, the small profit that I made on that first class would have to last me another three months just to stay afloat. My point is, DON'T DO THIS! Today, though, over 50% of the people who request information about the Fearless Presentations ® classes end up attending one of our classes. We do almost no paid advertising. We also make no cold-calls. The difference between those early years and today is the marketing that we do. The Fearless Presentations ® website has millions of people coming to it every year for information. We give a ton of our content away for free in blog posts, podcasts, and videos. Basically, if we are giving away this fantastic content for free, just think about how much more valuable the content is that we charge for! Your website, your blog posts, your podcasts, your articles, your videos, and your books are all ways for potential customers to get to know you and trust you. You will create much better relationships with your customers if they come to you versus you pushing marketing onto them. Your Blog/Website is Your Office. It Should be the Focus of Everything that You Do. Step one (I know it is number two in the list, but it is the first "To Do") is to create a fantastic website/blog. I like to consider myself somewhat of an expert on website development. I have a knack for being able to get my websites to the top spots on Google and other search engines. Let me give you a simple crash-course on Search Engine Optimization (SEO -- how to get your website to the top of search engine results). Content is Good. Code is Bad. There are a bunch of really pretty websites out there that never break into the top 100 pages for search results. Most often, this is because of how they are designed. One of the big website development platforms, right now, is Wix.com. The big problem with these drag-and-drop platforms, though, is that they leave a bunch of code for every morsel of content. The websites look pretty, but to a search engine, they are messy. I recommend using a WordPress blog as your website. There is an excellent article about the difference between the two at Wix vs. WordPress SEO. Visit Duration is Important. Google has gotten really good at finding ways to judge the value of the content on a website. One of the ways that Google does this is to measure the time that a person spends on a particular website before returning to Google for another option. It is not as intrusive as it sounds, though. Basically, when you do a search on Google, and you click a link from Google to a website in your search result, a timer starts. If you quickly hit the back button, Google assumes that the result that you received wasn't what you were looking for. If you stay on that website for a long period of time, it judges that the result was accurate. So, the longer that people stay on your website when searching through a search engine, the high the website moves in the search results. If you recall, I suggested in the last post that you create blog posts with a minimum of 1000 words. If you have good, detailed content, visitors will stay longer. In addition, if you put links to other posts on your website within your current content, you can increase the length of time even more. Good Back Links are One of the Most Important Things for SEO. In the early days of the internet and Google, the most important thing to do was to get quality "Back Links." These are links from other websites to your website. At the time, Google assumed that if another website linked to your website, that was a "vote" as to how good the content on your website was. Websites that had the most back links got the highest rankings. However, bad actors manipulated these results. "Link Farms" were created where the only purpose of the website was to provide links to other websites. As a result, Google changed the way that they measured the quality of a link. To be brief, today, the quality of a back link is way more valuable than the quantity. In fact, if you have a high number of low-quality back links, you can be penalized by Google. There is no shortcut for getting quality links. However, there are a few smart ways. For instance, in an earlier episode, I suggested that you give speeches within industry associations. When a high-quality association links to your website, that is back link gold. If you are a guest on a podcast or a source for a reporter, you will also get a high quality back link. These take time, but they are the best way to promote your website. Metadata is Critical. Metadata is a fancy term for things, other than text, that search engines use to figure out what your website is about. This information includes the title, URL, description, keyword, image/video data, and schema. Although search engines don't give a lot of weight to "keywords" listed in your website header, anymore, it is important to pick a single keyword (key phrase) to build each page of your website around. You also want to only use each keyword/key phrase once. For instance, if you make wedding cakes in Dallas, if you put the phrase "Dallas wedding cakes" on every single page of your website, none of your pages will likely rank very well. However, if you use that phrase on the "Location" page of the website, it will do better. Once you have identified what word/phrase you are targeting on a page, make sure that this phrase is prominent in the page title, in the URL, in the description, in the alt tag on at least one image on the page, and in the schema for the page. For instance, if you type "houston texas public speaking class" into Google, you will get https://www.fearlesspresentations.com/houston-texas-public-speaking-class/ as your top result. If you look at the listing on Google, you will see that phrase in the title and description. You will also see a five-start schema rating as well as a list of our upcoming events in Houston. If you click the link, you will see that there is a photo of our office with the phrase as the alt tag, etc. 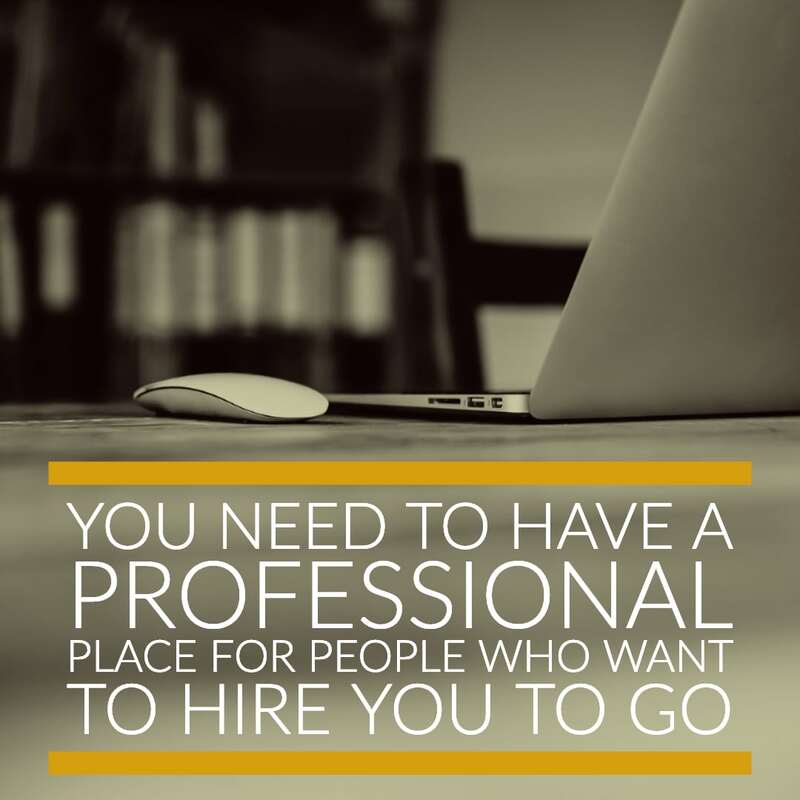 The most important thing to keep in mind here is that, you need to have a professional place for people who want to hire you to go to. Your website is vital. Spend some time and money to make it fantastic! Speak to Promote Yourself as a Speaker. I gave you a number of great ways to promote yourself by speaking. Once you get your website up and running, make sure to review that post. You can speak at seminars and conferences, on webinars, as a guest on podcasts, and the like to get a bunch of free advertising for your new business. Create Your Call to Action. 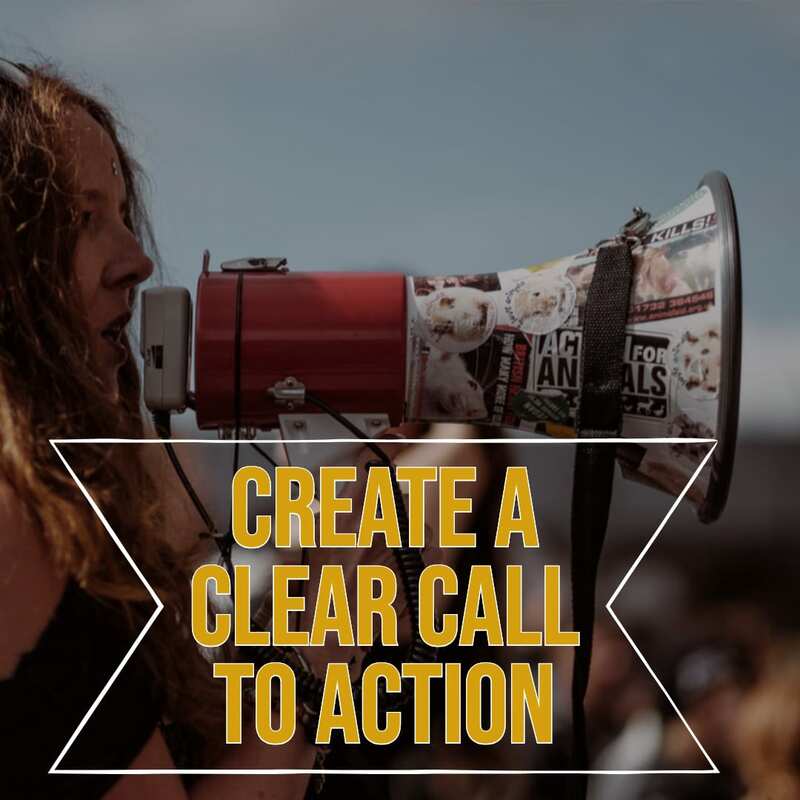 The last step before the promotion blitz starts is to identify a specific call-to-action that you want to center your marketing effort around. For most new speakers, it might be a good idea to make building you "list" the major call-to-action. Your list is just a database of potential customers/clients. If this is your focus, you will want to be able to collect a person's name and email address in exchange for something of value that you are providing them. For instance, since you a published book, you can offer to give visitors to your website an electronic copy of your book in PDF form in exchange for their contact information. Alternatively, you can give them access to a video series that you created or a handout with a summary of your podcast episode. I've heard that every 10,000 people that you have on your list is worth about $1 million in annual sales. Other calls to action might be to attend a webinar, to purchase a product or service, subscribe to your podcast/YouTube channel, or maybe just to hire you as a speaker. Be clear on your call-to-action, though. It will help you exponentially. Now it is time to start releasing your content. Add a new blog post every week. Add a new podcast episode every week. Add a couple of videos to social media every week. Consistency is critical here. For instance, release your podcast episode on the same day and at the same time each week. This is a building process. Initially, you won't have a huge following. However, as you start to build your list of followers, you build momentum. You can send out, via email, a summary of this week's blog post along with a link to access the podcast audio. As more people start to access your blog, your search engine results improve. As more people download your podcast, the episodes show up higher in iTunes searches. 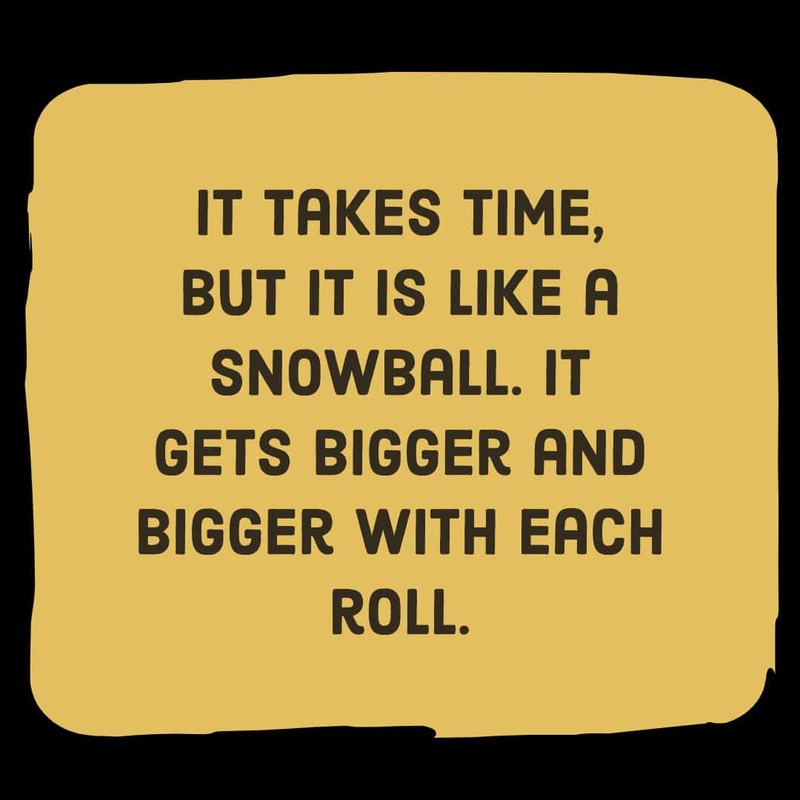 It takes time, but it is like a snowball. 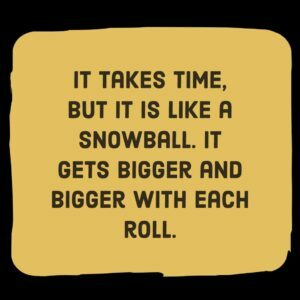 It starts small, but gets bigger and bigger with each roll! Constant and consistent action will do wonders for your speaking career. Keep creating solid content. Promote your content a little at a time. 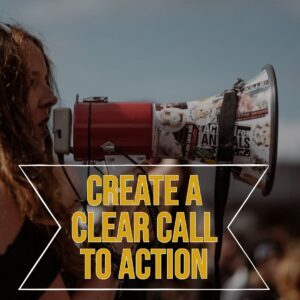 In addition, you want to have clear calls-to-action along the way to lead your audience to the activity that will be most helpful to both you and them. If you do these things, your speaking career will skyrocket!